ℹ Dieser Shop liefert nicht nach Deutschland. Du kannst dieses Produkt in unserem deutschen Shop bestellen. The compact 2 Pod Harness by NXe/Tippmann comes with practical features. The pod harness can be adjusted via the integrated nylon belt from 56cm to 106cm in size. The pots are kept securely in place by the extra-long Velcro straps. 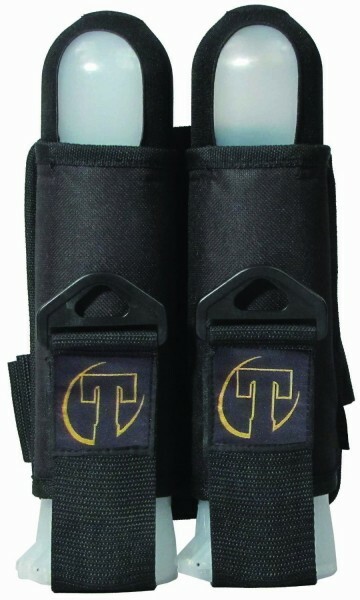 The whole thing is of course the well-known Tippmann quality. Maximum waist size approx 110cm. Buckle adjustable.